Leave a comment on THIS post through Tuesday, December 11, 2018, to be entered in the DRAWING for a copy of the book below. If you mention in your comment that you’re a follower (see right sidebar to follow), I'll add your name a second time in the drawing. U.S. mailing address required to receive a paper book. I may or may not have read books offered for giveaways. The mention and giveaway of books on my blog do not in any way indicate any manner of my endorsement of said books. Read book giveaway details at Disclaimers. To help provide you security, please leave your email address like this: johnATyahooDOTcom. Winner announced in next Thursday's blog post. From bestselling authors in the Amish genre come four stories about the meaning and tradition found behind every family heirloom. Local volunteer fire fighter Leon King agrees to repair his ex-girlfriend Susie Bontrager’s grandparents’ antique rocking chairs for her future home with her financé and is forced to acknowledge that his feelings for her have not quite gone away. As Susie spends time with Leon, she begins to recognize she is marrying the wrong man for all the wrong reasons. Decades after inheriting her great grandmother’s cedar chest, Emma Fisher decides to pry it open only to discover a beautiful love story in the form of letters between her great grandparents. But as Emma immerses herself in their story, family secrets are revealed, and she must decide whether to share them to preserve family history or honor her great grandparents’ decision to leave them hidden. For the past two years, Shane Broyles has felt God leading him to join the Amish. He’s staying with his friends Noah and Ivy Schlabach in Birch Creek, Ohio, where he is reunited with Lucy Fisher, an old friend of Noah’s family. Shane and Lucy have never revealed their feelings for each other, but when they stumble upon an antique Bible at a flea market, they feel drawn to each other and to the mystery of the contents found within. Iris Beachy serves as a midwife in her district where she longs for a family of her own. When her friend’s brother Mahon Kurtz seeks her help in delivering the baby of two young teenagers who have sought refuge in their town, they begin to see each other in a different light. Unprepared for parenthood, the young couple leave their baby girl behind in an antique crib quilt resembling the one destined for Iris when she becomes a mother. Mahon and Iris come together to take care of the baby as they try to find her parents, and they begin to see new possibilities for their future. 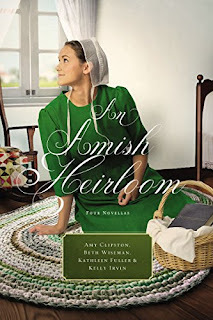 I’m offering a paperback copy of An Amish Heirloom to one commenter to this blog post. Commenters, to enter the book drawing please leave your comment on this post through December 11, 2018, and remember to leave your email address so I can contact you if you’re the winner. The winner of last Thursday’s blog post for a copy of Sunny’s Dream by Mary L. Ball is Crystal. I’ll email you. Thanks all for commenting. Watch for more book giveaways. NEW RELEASE! 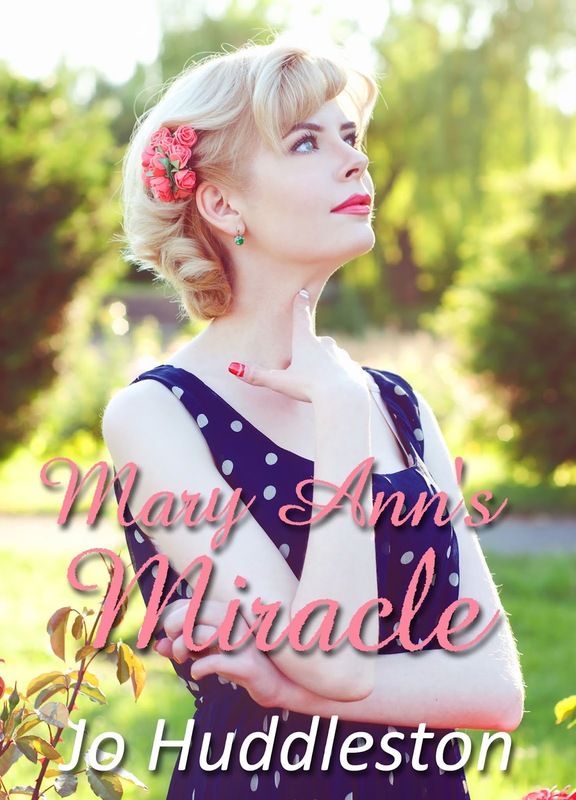 Mary Ann’s Miracle, Book #3 of the California Bound series. This sweet romance novella is set in the 1950s and is available in eBook. You can read more about the book here and you can read the first chapter here. Love stories like this. Would love to win this book, read and review this book. Sure hope I win. My e-mail is: don DOTstewartATzoominternetDotnet . Crystal And Daisy Mae is for my Google Profile only. This has got to be a winner, thank you for the chance to win a copy. I love all of these authors. Thank you for the chance to win a copy. Four stories by some of my favorite authors would be tremendous! I recently read another collection which is where I discovered Amy Clipston. I enjoy both her work and Beth Wiseman's and would be eager to read the other two authors for the first time! This sounds like a great novella collection I would love to read. I like the heirloom aspect. I am an email subscriber of your blog Jo. I’ve read a few of these authors before & enjoyed them! What an amazing collaboration of authors. Would love to read this novella collection. Amish books are a favorite of mine and these authors are all amazing! I am a subscriber and follower.